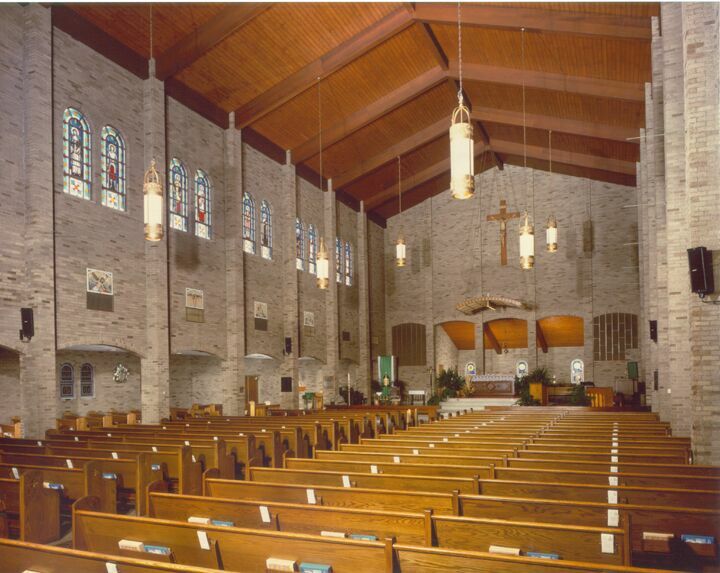 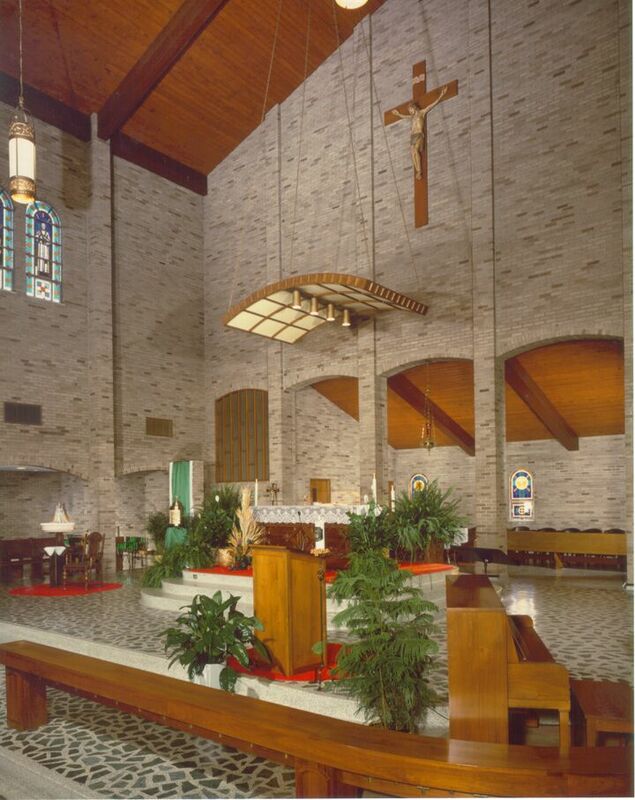 The 26,200 square foot church was completed in 1962 at a cost of $2.6 million. 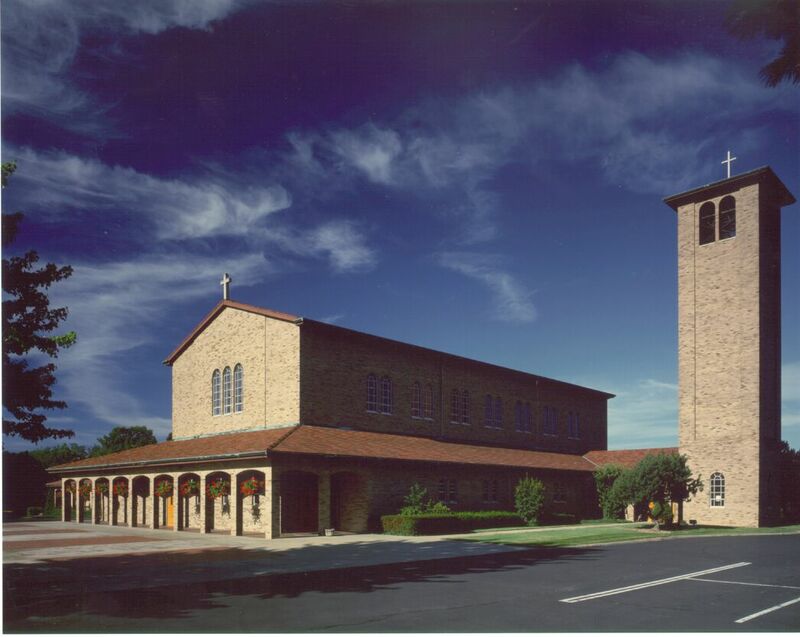 The church design consisted of a Romanesque Style Sanctuary with wrap around Portico. 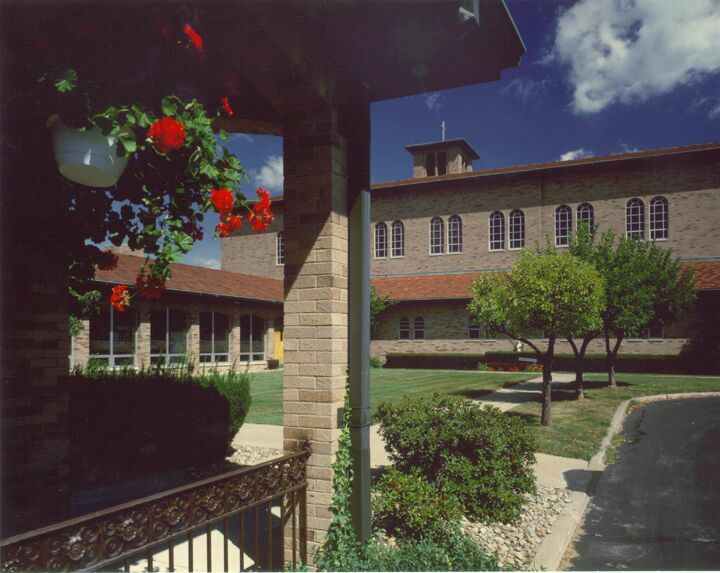 Strollo Architects has since completed several additions and renovations, including the addition of the family center and parish center.